Makeup for me is all about experimentation, finding something new and discovering a steal that you want to recommend to all your friends. Although I would always opt to spend more on my foundation and skincare, when it comes to the majority of my makeup bag there’s always room for a bargain. Over the last few weeks a tonne of super shiny and expensive makeup products have landed on my desk, but what’s making me stand up and take notice are the incredibly affordable versions that you don’t even have to wait to treat yourself to – because when they’re less than a coffee and slice of cake, it would be rude not to really. From all the bits and bobs that have made their way to me in the last weeks, these are the five that have all made me go ‘ooooh’… And even better, none of them are more than six quid! 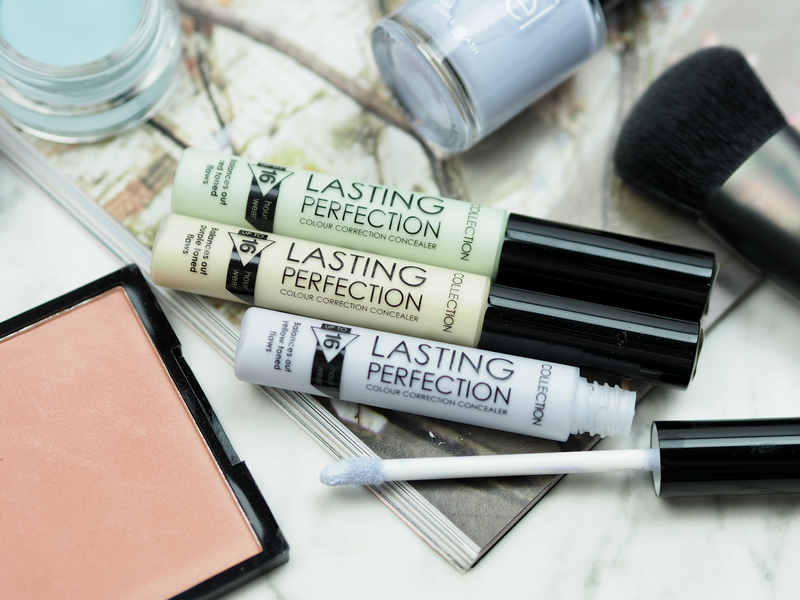 If you’re a fan of the Collection Lasting Perfection Concealer (and I know so many of you are – there was almost a riot when it went out of stock!) 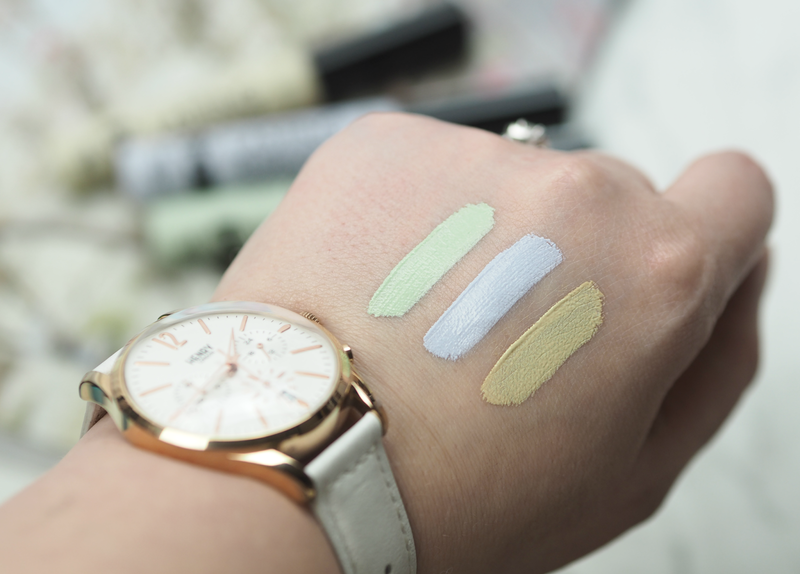 then you’ll love these colour correcting additions that help to create an even more flawless base. The same texture and pigment, these are available in either a yellow, lilac or green variant to counteract dullness, sallowness or redness. Creamy and highly saturated, these work really well on the skin on their own (obviously under foundation) or mixed with your usual concealer if you’re not a fan of too many layers. Colour correction may have been a trend in 2016, but it’s actually been a pro secret for years – so don’t dismiss it! This German brand is frustratingly only available in Wilko, but it is available to buy online. 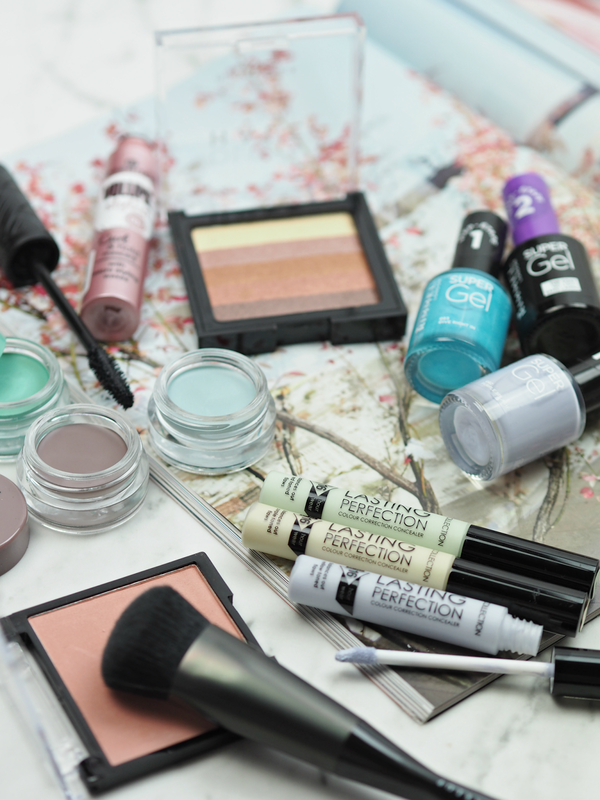 They have so many great little bargains on offer, most of which are only a few pounds – including their mascaras which are generally a bit of a hidden gem. 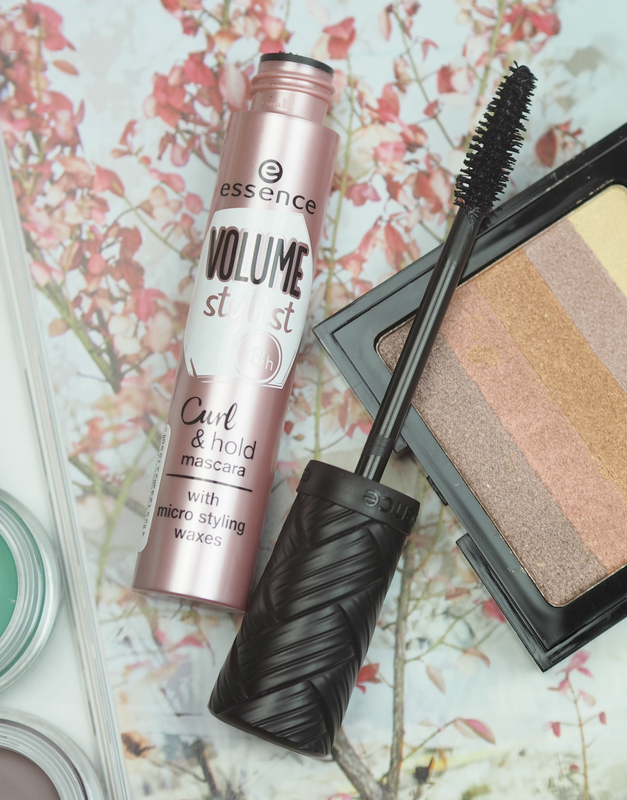 This ‘Volume Stylist Curl & Hold’ features a slightly curved wand (that you can’t see in the pic) and a tonne of bristles, as well as a reservoir to hold an excess of product, which together results in a super lifted and voluminous lash line. Personally I find that Essence mascaras can leave me with Panda eyes if I’m not careful with their removal, but I’m really enjoying the result this provides. It’s a great one to use every day, if you can’t bear to reach for the YSL/Dior/MAC/whatever posh mascara you’re currently loving. I’ve bought Rimmel nail plishes for as long as I’ve been wearing colour on my talons, mainly because they’re incredibly affordable and offer a huge range of colour. The latest launch from the brand is a ‘Super Gel’ alternative to gel nails, which is applied in two stages: the colour followed by the ‘gel effect’ topcoat. Thanks to the super thick brush, application is a doddle and a true-to-bottle colour can be achieved in only two coats (although the first can be a touch streaky, so keep with it!) I’m really impressed with the smoothness of the finish which really covers and conceals any texture imperfections or flaking, as well as the longevity – a couple of days in and it’s still going strong, even if I don’t expect it to stay put for anywhere near the 14 days it promises. My current fave is undoubtedly Purple Splash, but there are over twenty shiny shades to choose from. 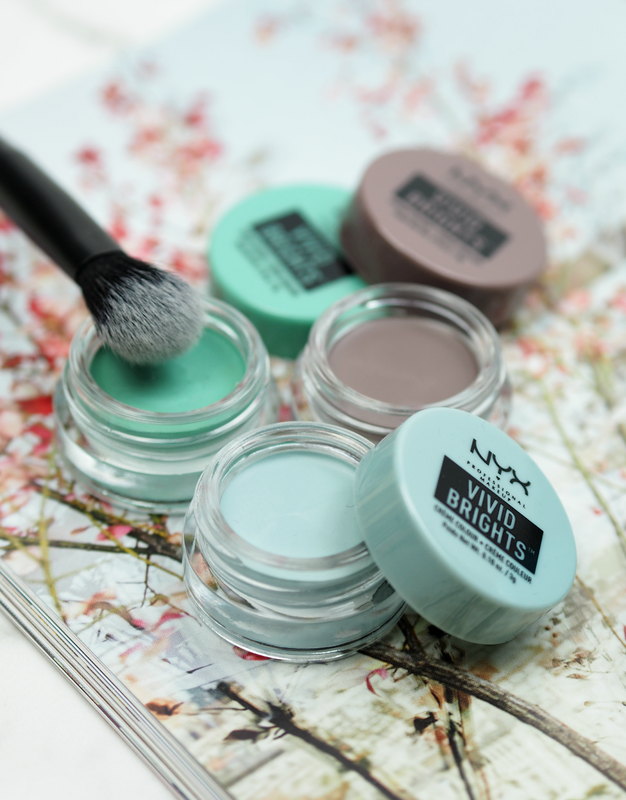 A brand I’m quickly falling head over heels for, NYX just seem to nail affordable beauty while still providing textures and formats that are a little bit different. These Cream Colour pots offer a really strong pigment that can be used in a multitude of ways – either as an eyeshadow, liner or even lip colour or blush if the need arises! 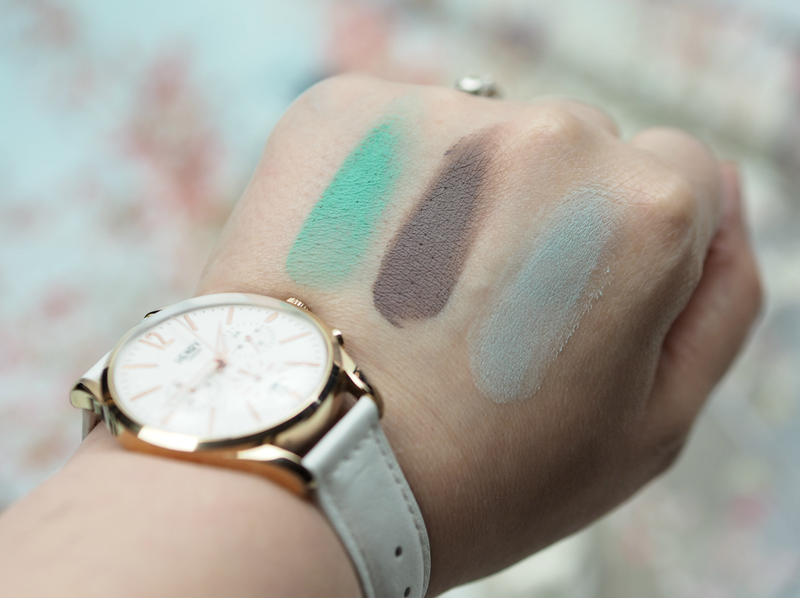 Although some shades are richer and creamier than others (generally speaking the pastel shades are harder to work with,) they’re beautiful to blend and would look amazing paired with a flush of bronzer this summer. 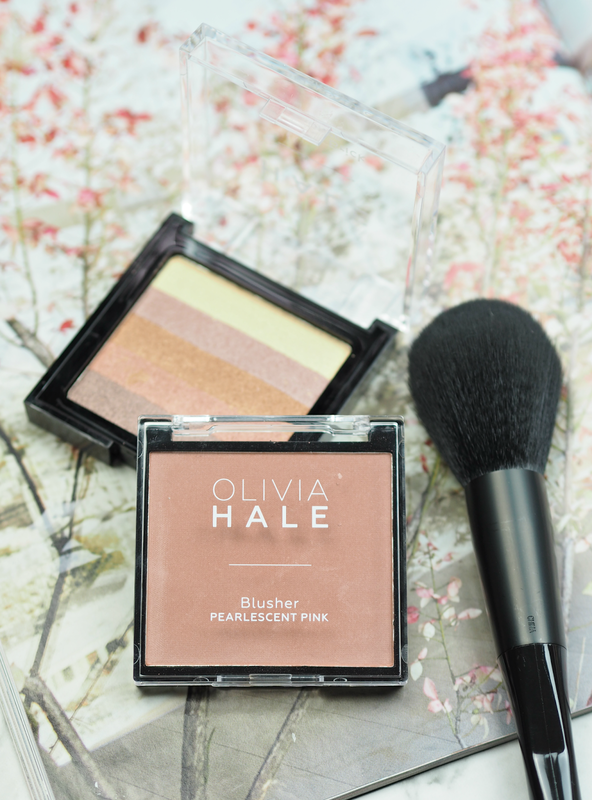 The creamy texture does take some getting used to if you’re usually just a powder eyeshadow girl, but the beauty is all in the experimentation. 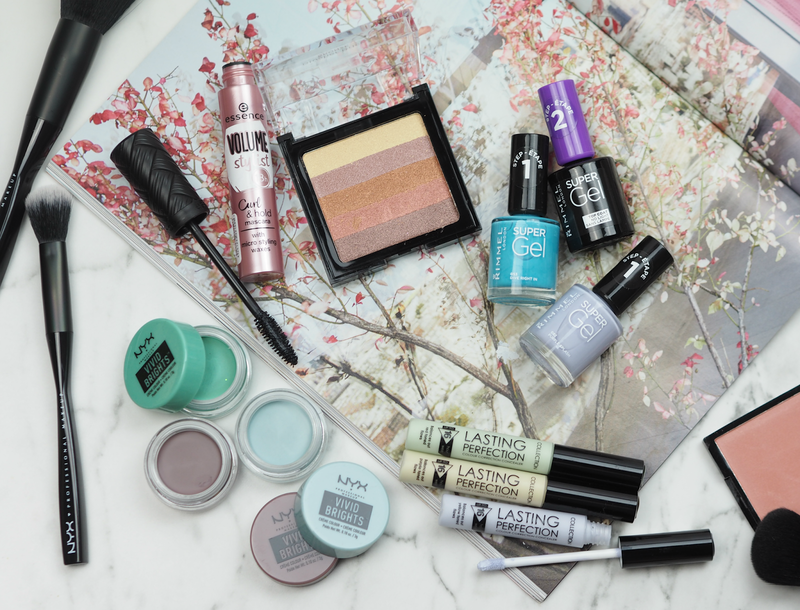 Have you found any other makeup bargains recently that you think we should all know about? I tried NYX lipstick and I love it. It so long lasting and around £6. I will get some shades, as I need new ones. I usually prefer powders, but I like trying new things too. Glad you found it useful Becky! I was pleasantly surprised at how strong and creamy the pigment was.